Baby | Pump That Pedal - We've got it, You want it, Come and get it. Here’s a small snippet from this custom video in which Baby’s stuck. In this custom video done last year of Baby, she is driving through a gate and gets stuck. She wears 2 different pairs of shoes, and 95% of the camera angles are focused on the feet. Baby and I are on our way to a party out in the woods, and we are anxious to get there. Baby stops when I think I see someone in the distance, but her Malibu dies without any warning signal. By the time she gets it started, I am spooked…. In this clip, Baby is leaving for work but realizes she needs to feed the horses. Once that is done, she sets on her way but is stopped short when she gets stuck in her Malibu. 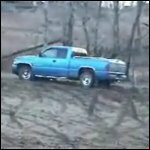 She decides to back her Dodge RAM truck up and pull her Malibu out,…. We went up to visit Baby this past Sunday, and we decided to film her doing what she does best – mud riding. Watch her slide all over the place in her muddy little play area. You know when there’s mud riding, someone’s always going to get stuck! Introducing our newest model, Baby! Man, does she love getting stuck or what?! 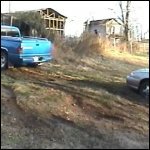 She and I went on a tour of hers and T’s land this past week, and she buried half of her Dodge RAM in the pond! Holy cow! You guys are gonna love this! Baby’s first cranking video. This jeep really won’t start. We actually had to charge the battery up before the engine would even turn over. There are a few times when you think Baby just might get the thing to fire up . . .